Swiss photographer René Groebli photographs his newly-wed wife Rita through his ‘eye of love’ (Auge der Liebe) in 1953. He documents their Paris honeymoon in this, his second book. The majority of the photographs were taken in a small, simple hotel room in Montparnasse, at 7 Rue Vandamme. (now known as Hôtel de la Gaîté) The rooms have since been renovated and redecorated, so the location, as seen on Groebli’s photographs, no longer exists. Light falls through a window, the room is dark. A bed, a mirror, the post-coital cigarette. A young woman seen through the eyes of her adoring young husband. The room is full of love and intimacy. A photographic concept later successfully employed by many other photographers, best known Nobuyoshi Araki’s Sentimental journey. The small, landscape-format emphasizes the diary mood of this intimate book. The clear layout is straight forward, creating a counterpoint to the intimate photographs. Title and photographer’s name are printed in purple on the glassine covering the dust jacket. Ten photographs from the book were published over eight pages in the U.S. CAMERA ANNUAL 1955, with an introduction VISION OF LOVE, a tender photo-essay on a photographers love for a woman, his wife, which will soon be published in book form. See below. I discussed this book recently with René Groebli himself, and he told me that he deliberately included some “sexier” pictures for the English language edition. This copy has no text beyond the title page. The sequencing and images in the book are identical to the first German edition, just missing the printed text. The photographs are printed with less gloss than in the regular editions. The typeface used on the glassine jacket is different to the UK edition. This is basically an English-titled edition with the German first edition sequencing. 25 photographs including cover image. Plus 20 boxed with signed silver gelatine print. Ten photographs from the book The Eye of Love were published over eight pages in the U.S. CAMERA ANNUAL 1955, under the title VISION OF LOVE by René Groebli. This edition of the U.S. 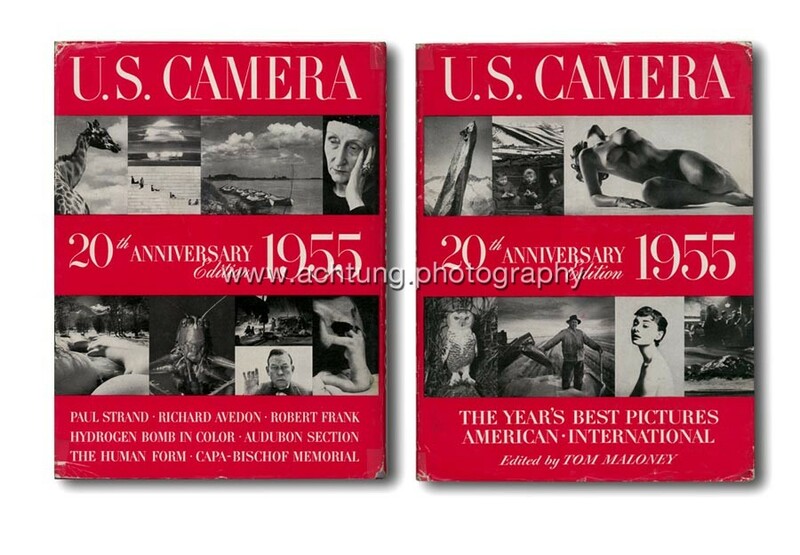 Camera Annual includes also portfolios by Richard Avedon, Paul Strand, Robert Frank, Robert Capa, Ansel Adams, Ormand Gigli, Brassai, Henri Cartier-Bresson and others. 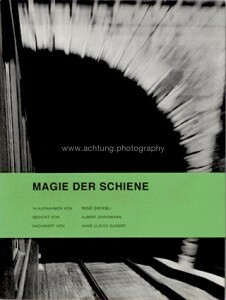 One of René Groebli’s photographs was also used on the dust jacket. VISION OF LOVE is a tender photo-essay on a photographers love for a woman, his wife, which will soon be published in book form. 700 copies with German text. 25 photographs including the cover image. 300 copies with English textBasil Burton. 24 photographs including the cover image. Published by the Press Centre Ltd. for PHOTOGRAPHY, 9-10 Old Bailey London E. C. 4. Text in english by Walter Gort Bischof. Booklet with original german text by Birgit Filzmaier.